According to The Hollywood Reporter, Zendaya will lead the cast of a new animated movie titled “Smallfoot” along side Big Hitters Channing Tatum and Gina Rodriguez. You can read more on it below. Channing Tatum, Zendaya and Jane the Virgin star Gina Rodriguez have snagged the lead voice roles in Smallfoot, a Yeti-oriented animated feature from Warner Bros.’ Warner Animation Group. Ryan O’Loughlin is directing the project, now in production, which is based on a story by animator Sergio Pablos (Rio) and has a script by John Requa and Glenn Ficarra, the showrunners of NBC’s This Is Us. The movie has a Sept. 14, 2018 release date. Tatum has previously voiced Superman in The Lego Batman Movie and voice-starred in The Book of Life. For Zendaya, Smallfoot will mark her voice-acting debut. Rodriguez has two movies for which she lent her voice in the can: Ferdinand, Fox’s adaptation of the classic children’s story, and The Star, Sony Pictures Animation’s take on the first Christmas. As she gears up for Spider-Man: Homecoming, the budding style, screen, and social-media star has no plans to slow down. THE WORLD’S A STAGE: “I fell in love with theater at a young age. I was that weird eight-year-old who actually appreciated Shakespeare. I loved singing and dancing and putting on performances for my parents,” who were both teachers. The official Barbie Twitter page announced the “K.C. Undercover” star will be a one-of-a-kind doll. The superstar will host the Rock n’ Royals Concert Experience on Saturday, Sept. 26, where her doll will be on display. “When I was little, I didn’t have one that looked like me, so I couldn’t connect with her in that way…But getting to visit the Mattel offices and see Barbie’s vision for the future…it was really cool. http://zendaya-coleman.com/wordpress/zendaya-to-be-new-barbie-girl/ http://zendaya-coleman.com/wordpress/zendaya-to-be-new-barbie-girl/ http://zendaya-coleman.com/wordpress/zendaya-to-be-new-barbie-girl/ http://zendaya-coleman.com/wordpress/zendaya-to-be-new-barbie-girl/ http://zendaya-coleman.com/wordpress/zendaya-to-be-new-barbie-girl/ http://zendaya-coleman.com/wordpress/zendaya-to-be-new-barbie-girl/I was able to see how they plan to diversify, broadening the horizons and the image of Barbie, and make it more, you know, open. 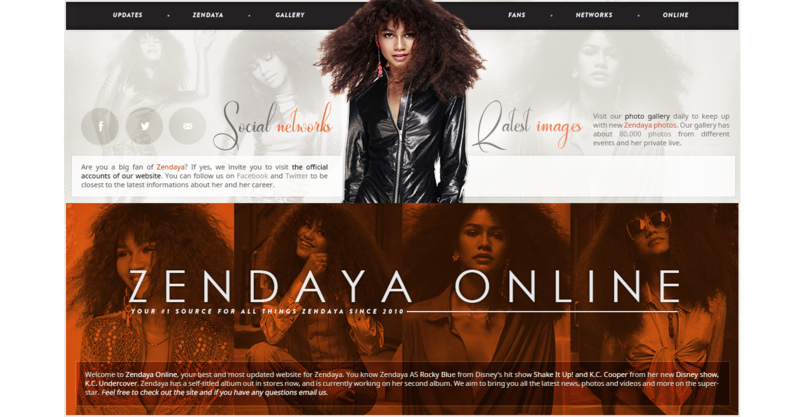 I left the office feeling it was definitely something I wanted to be a part of,” Zendaya told Yahoo Celebrity. According to the Hollywood reporter Zendaya is currently working a new Animated Film titled “Duck Duck Goose” you can read below for more information! China’s Original Force Animation has been quietly setting up an animated motion picture unit while getting its first batch of features off the ground, and it is holding its debut event on Wednesday evening during CG conference Siggraph in Los Angeles. The new unit is based in Culver City and headed by co-presidents Sandra Rabins and Penney Finkelman Cox, who are partners in the venture, along with Original Force founder Harley Zhao. The company seeks to produce at least one CG feature film approximately every 18 months. In the story — set in a world that the filmmakers are giving a painterly look — a free-wheeling hero, Peng, rejects the community of his tight-knit flock of geese in an attempt to live life on his own terms. But after he narrowly rescues two young ducklings from a deadly cat named Banzou, Peng agrees to look after them. For more information on all new films check out The Hollywood Reporter. While Saturday’s “KC Undercover” posted soft ratings, Sunday’s episode was the most-watched since January. For “KC Undercover,” the second and third parts of the “Double Crossed” event brought mixed results. Part two, which aired on Saturday night, drew the show’s second-lowest viewership total on record. Sunday’s conclusion, however, delivered the show’s best viewership since the second episode, which aired on January 25. Saturday’s “KC Undercover” posted a 0.31 adults 18-49 rating with 1.82 million viewers. Both marks trailed those of Friday night’s first part, which scored a 0.40 with 2.40 million. Sunday’s episode then roared back with a 0.47 rating and 3.02 million viewers. It was the third-most watched on record (behind the January 18 premiere and aforementioned January 25 episode). — Sunday night’s Disney Channel lineup also included “I Didn’t Do It” (0.36 rating, 2.20 million viewers). I’m going to have to go with basketball because I’m tall. 3. Last album you bought? I think the last actual full album I bought was the Drake album [If You’re Reading This It’s Too Late]. Honestly, the coolest ones are when girls my own age come up to me and are like, “Oh my god, I stalk you on Instagram! You brows are amazing!” That’s the best thing to me because I’m like, thank you. Thank you so much. Princess Tiana because she has an attitude. 6. Favorite old-school Disney Channel show? That’s So Raven. You know the eye. Pizza. I don’t think you could survive off chococlate. But you can survive off pizza because I’ve been doing it for 18 years. That’s hard! They kind of go hand in hand. Hashtag Okrrr. O-K-R-R-R. I use it all the time. 10. Last person who texted you? I don’t have one. I have a very interesting face. So I’ve met very few Zendayas with this face. I’ve never met someone that I’ve thought, Wow you look like me. Jersey Shore. Defnitely. One of my favs back in the day. My niece’s name in my phone is “My UTI.” Because of Snooki. “My UTI!” So embarrassing. That’s a long list. Do we have time for that? I would definitely say Morris Chestnut is up there. Idris Elba. Channing Tatum. I mean… the list goes on and on. My cell phone. It’s right here. Sleeping! I just want to sleep! That’s all I want to do, just sleep on a beach somewhere. Someone showed me a jar of Nutella once and, no I’m kidding. Honestly to do whatever makes you happy. And that is the most important thing that I could tell anyone. You have to do what makes you happy. 17. Person you’d like to work with? 18. If you could invite five people, living or dead, to a dinner party, who would they be? Michael Jackson, OK? You’ve got Beyoncé, all right? You’ve got Stevie Wonder, right? And then Bob Marley and Tupac. I don’t know what’s about to go down at that dinner party. It’s about to be nuts. Yet another photoshoot of Zendaya! I’ve added gorgeous photoshoot pictures of Zendaya in high quality for Harper’s Bazaar Magazine. You can also read her interview below. How do you think fashion impacts your public persona and how people see you? I like to think of myself as a strong influence for young people, and I think a big thing about being young is finding out who you are, experimenting, not being afraid to try things, and not being afraid to really embrace who you are and what makes you happy. And I think fashion is a big part of that. You don’t have to care about what people think or let people determine your happiness. Do whatever the heck you want. I would say, my style is pretty fearless, definitely unique but still classic. Honestly, just people who like to do their own thing. For example, Eryka Badu. People who don’t really follow the rules that are set in fashion and wear whatever the heck they want because that’s their style or that’s what they create for themselves. It’s a very admirable quality. “We plan on doing the best of everything,” Zendaya said—and when she said everything, she meant it. The K.C. Undercover star’s debut collection will include boots, sandals, and everything in between. “We’re going to create a good sneaker, and we’re going to do a cute flat,” she told InStyle. And while you can expect to see a variety of fabrics and embellishments in the line, Zendaya assured us that wardrobe staples like solid black pumps will still be part of the collection. Zendaya plans to debut the shoes at the Met Gala on May 4, so make sure to check out a first look at the line then. We know we will!